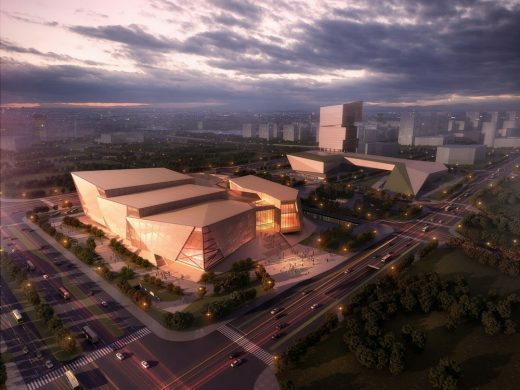 Zhengzhou Grand Theater, being the east part of city axis, is located in Zhengzhou Culture District as the best palace of performing arts in the Central Plains, will highlight the art of movement, and manifest the axis status of Zhengzhou in the Chinese culture with an architectural image unique to the Central Plains. 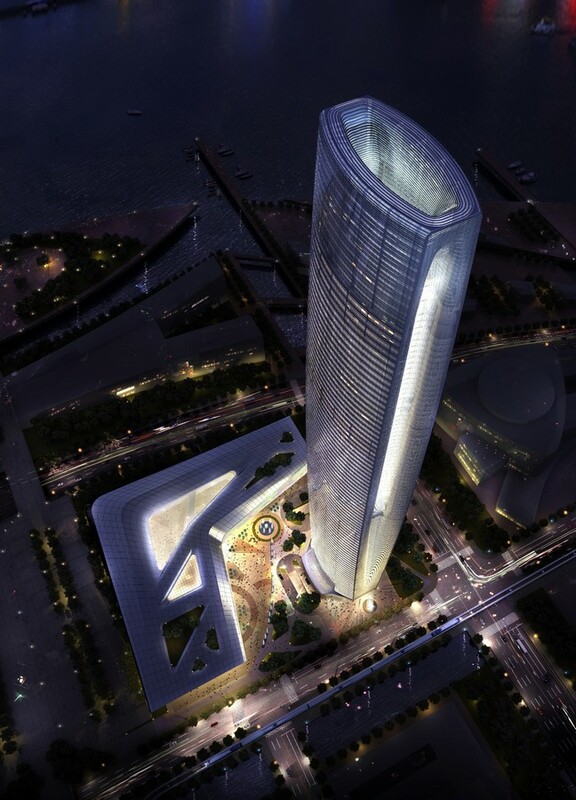 The architectural design concept of this project is: Yellow River Raving, A Dragon Wakes Up in Central China. 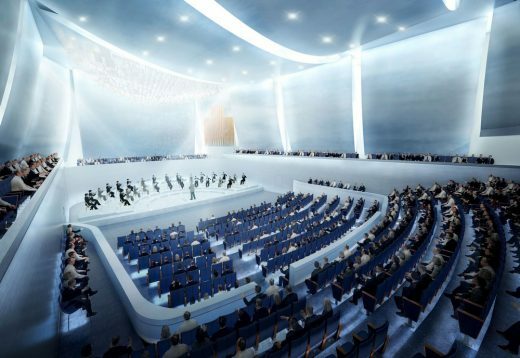 And it use Theater function framework and efficient traffic to create an Intensive, efficient, professional and practical grand theater. 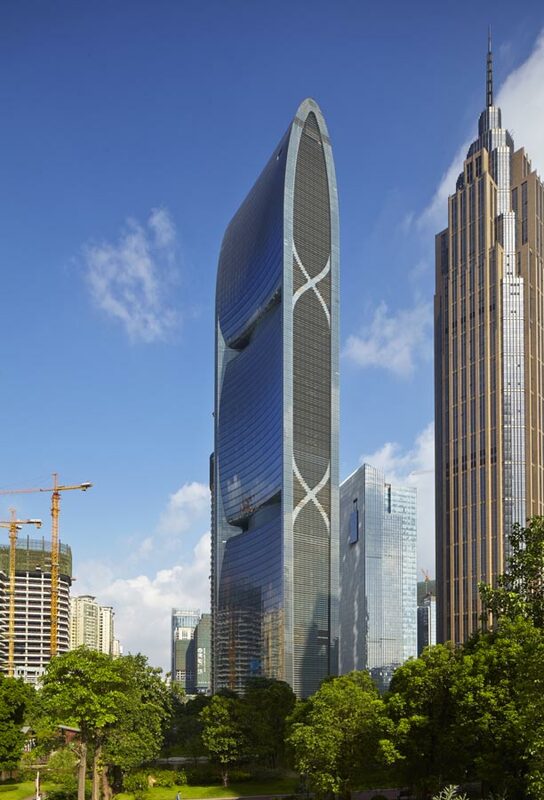 A horseshoe-shaped plane will be adopted for the auditorium of the opera house and the concert hall will have a shoe-box type narrow hall to provide rich early lateral reflective sound, which is economic and practical. The Odeon three-dimensional acoustic particle analysis shows that all the four auditoriums can obtain rich early lateral reflective sound and a uniform sound field and achieve excellent sound quality effect through optimal configuration of building materials. The spaces are compound and versatile, to be self-sustaining, and create a versatile, open and vital urban complex compound. 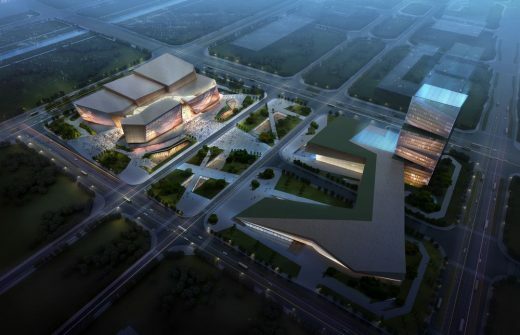 With the water dragon hall giving full consideration to various opening and closing modes, the grand theater, the drama theater and the multi-purpose theater to have an independent foyer area respectively to realize independent operation. 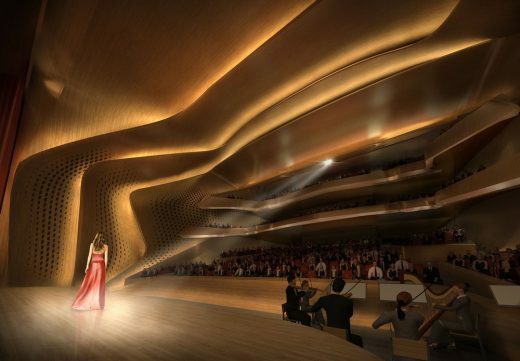 The multi-purpose theater will have a number of lifting stages and self-folding seats, able to realize a flat ground of 600 square meters to meet any requirements of performances, meetings, fashion shows and exhibitions, etc. 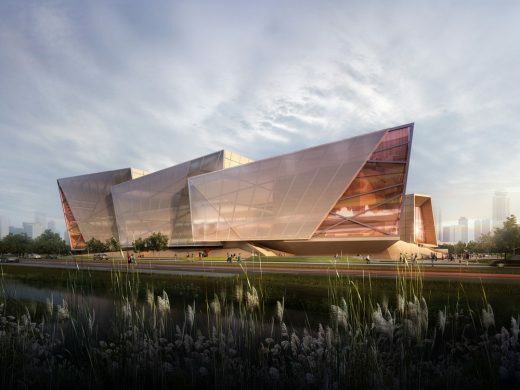 Over the multi-purpose theater will be a variety of conference rooms, with independent foyers provided to form a conference center through combination with the multi-purpose theater by utilizing the shared advantage of being close to business, office and star hotel resources. 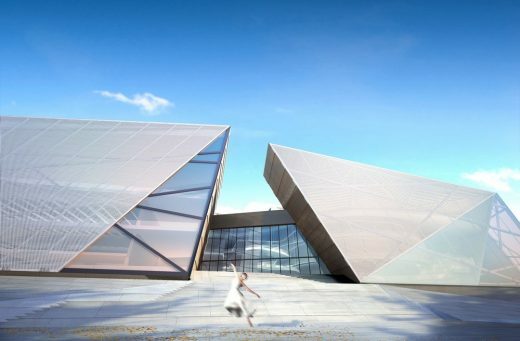 Commercial spaces will be provided on the first floor and underground and a three-dimensional art shopping and leisure center will be established to produce a scale effect and stimulate the tourism industry. 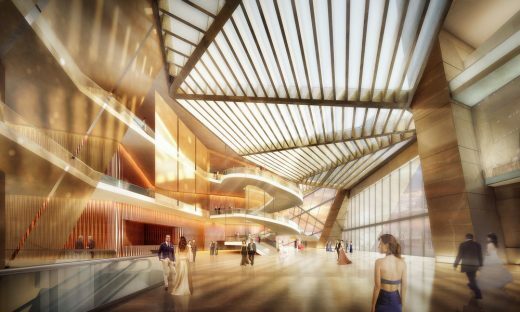 The architectural form will return to simplicity instead of a double-shell design to conform to the volume and height of the four halls, with a double-pane glass wall to be provided on the south side of the multi-purpose theater to realize natural lighting, with side curtain opening and closing utilized to meet the light, dark and acoustical requirements, etc. 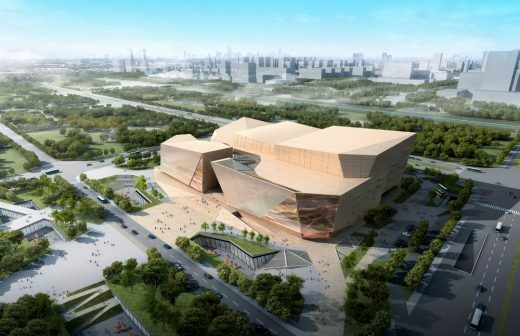 to advocate a new-generation green, economic and original “Sustainable” Grand Theater. With a double-pane glass wall to be provided on the south side of the multi-purpose theater to realize natural lighting, with side curtain opening and closing utilized to meet the light, dark and acoustical requirements, etc. 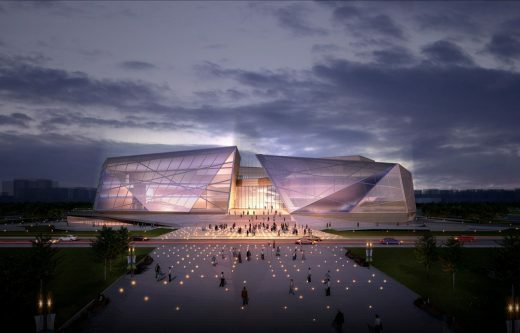 The backstage will realize natural lighting and ventilation by relying on the external wall layout alone. 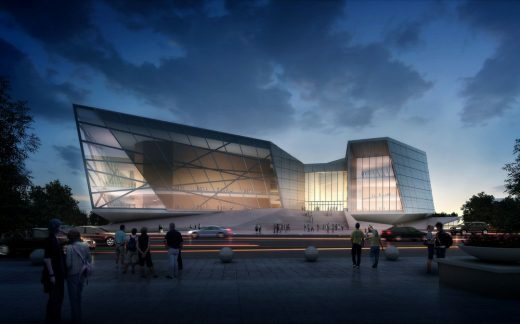 The architectural skin design will eliminate unnecessary decoration, with the design that combines necessary elements like structural components, glass wall sub-frame and sunshade metal mesh used to form dreamy skin with a unique Chinese classical charm and match the architectural characters of the grand theater. Trying to create a cultural self-confidence, professional, efficient, open and green “sustainable” theater in the axis of city filled with culture.